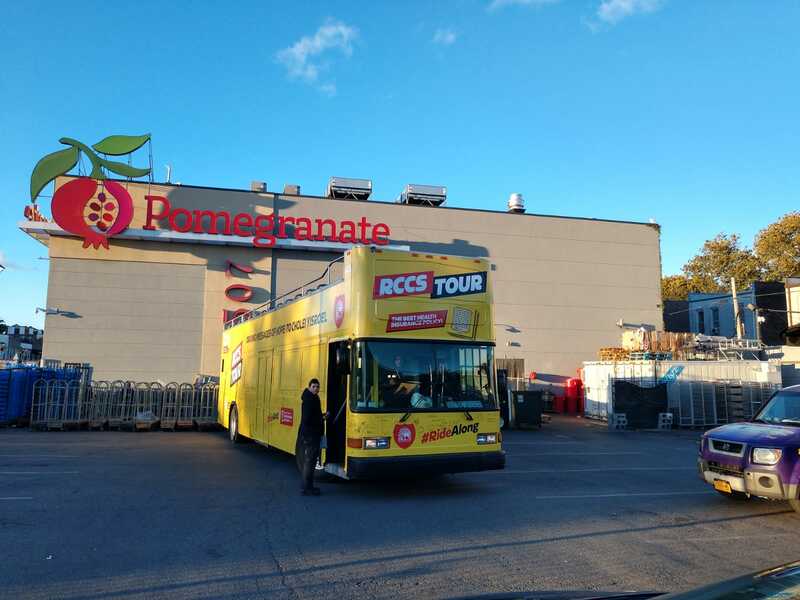 Home News Breaking News The RCCS Tour Bus Begins Its Journey! The RCCS Tour Bus Begins Its Journey! 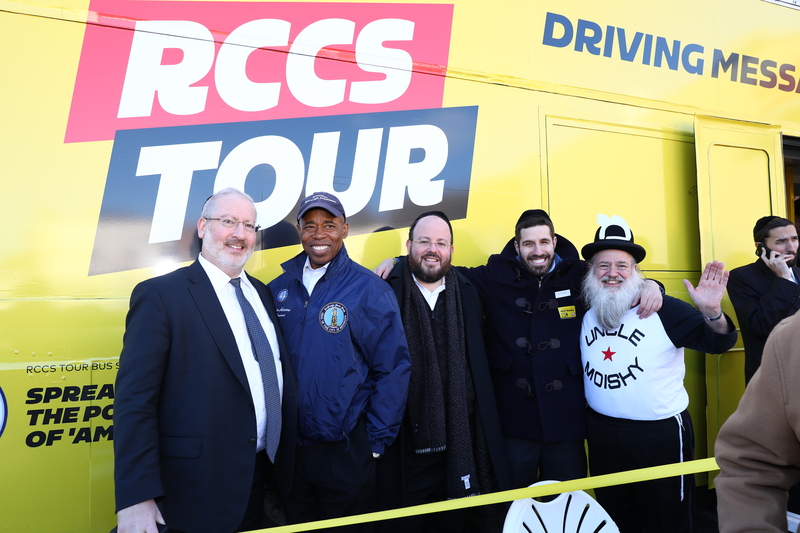 The 2018 RCCS Tour got off to an incredible start with the amazing RCCS Tour Bus making its first public appearance as it embarks on its lifesaving journey from city to city. 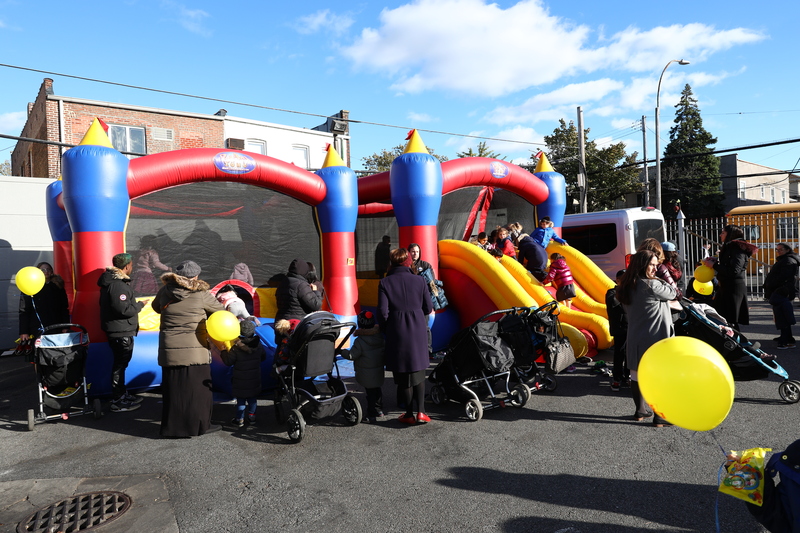 The first stop was on Sunday, at a gala Kick Off Event in Flatbush. 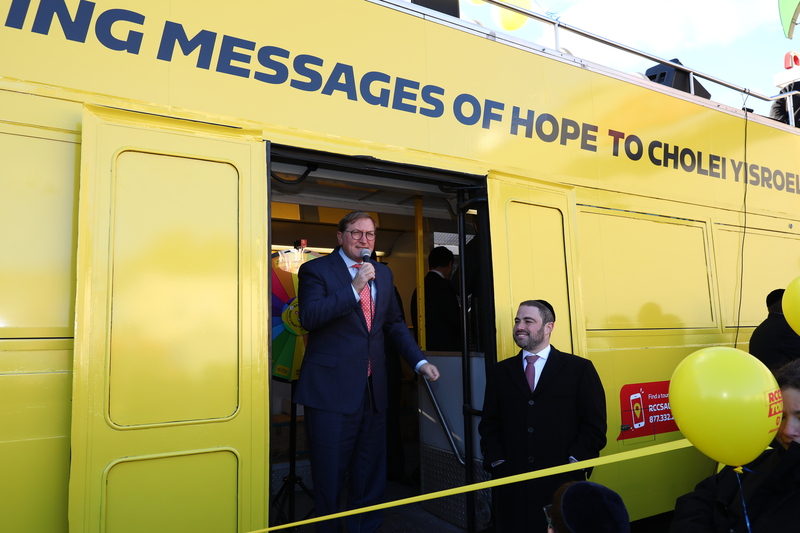 The bus will be making major stops in many Jewish communities over the next few weeks as it rides on for the battle against cancer. 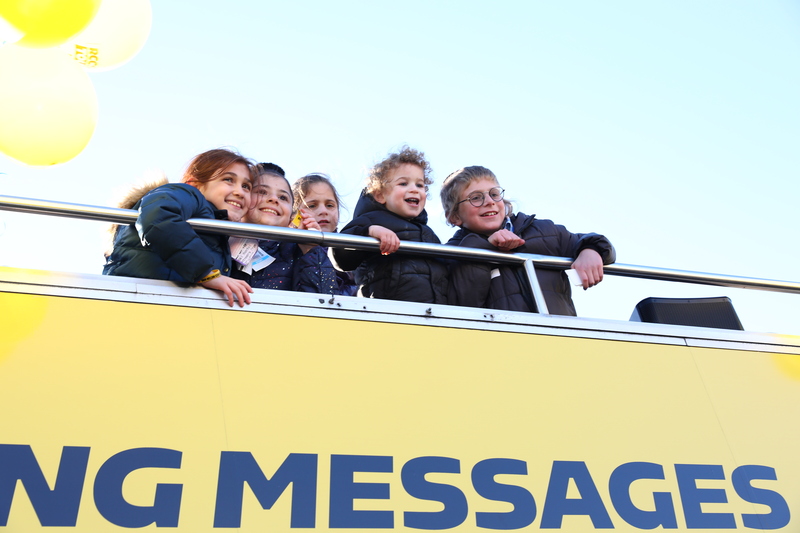 The beautiful, big yellow Tour Bus was on display at the Pomegranate Parking Lot on Coney Island Ave., from 3:30pm to 5:30pm. 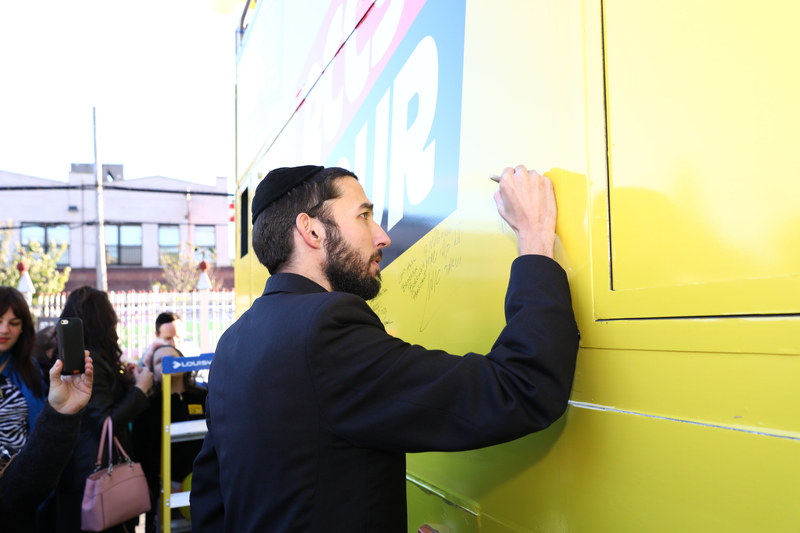 The bus is actually a giant get-well card for cholei Yisroel, as attendees of the events held at each stop have the opportunity to sign their names on its side and write their own messages of hope. 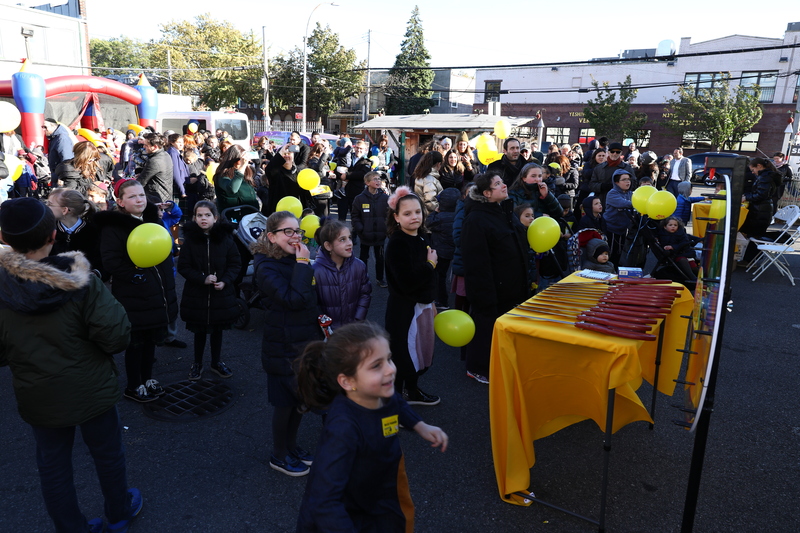 The Flatbush event, featured music, balloons, stickers, magic, moonwalks, and more, was enjoyed by hundreds of community members. 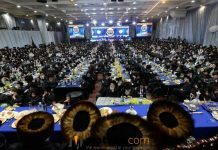 Delightful entertainment was provided by the one and only Uncle Moishy, as well as singer Moshe Tischler, together with live music. Nosh was provided for all children by DeeBest. 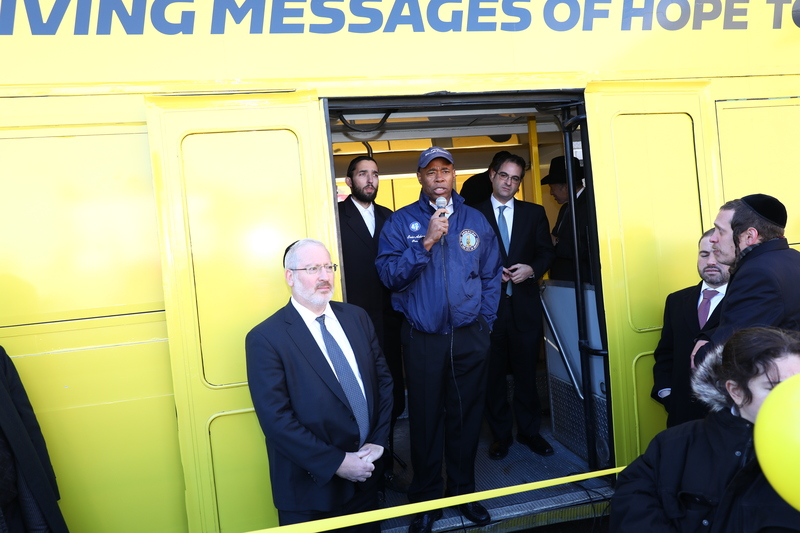 Numerous elected officials and community leaders were on hand for the ribbon cutting ceremony. 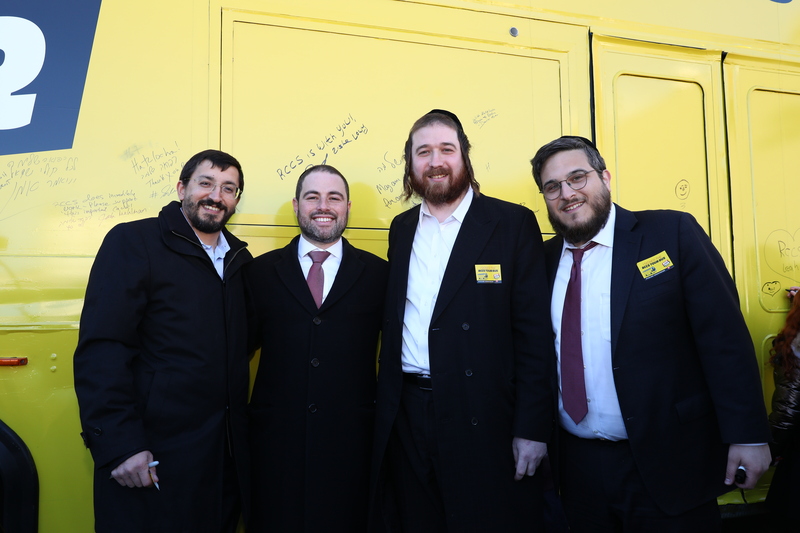 Among the other dignitaries in attendance were City Councilman Kalman Yeger, State Assembly candidate Simcha Eichenstein, Flatbush Jewish Council Chairman Josh Mehlman and many others. 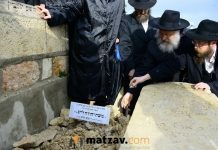 Dr. Moshe Lazar also addressed the crowd and praised the indescribable work of RCCS. 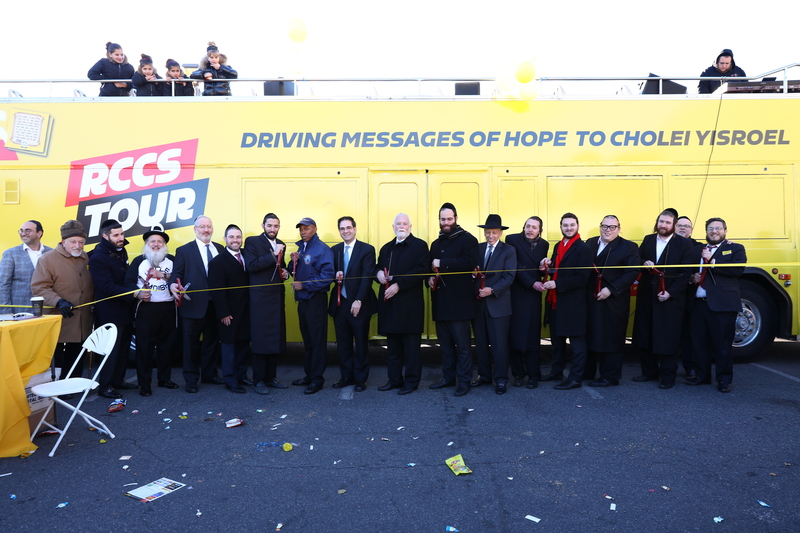 Rabbi Aron Steier, RCCS’s National Director of Development, thanked the huge crowd for taking of their time to come out and being there for RCCS by participating in the memorable kick off of the RCCS Tour Bus and providing warmth and support for cancer patients in our community. 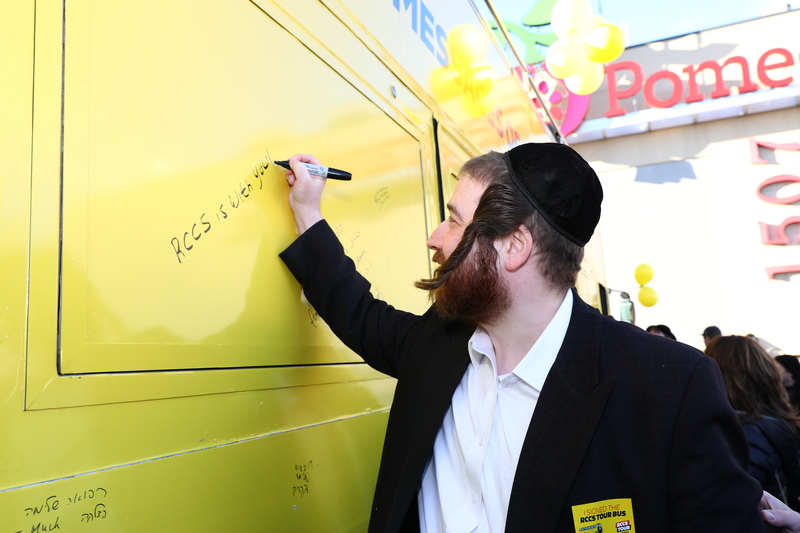 The RCCS Tour Bus was graciously sponsored by R’ Yaakov Marmerstein of Bnei Emunim, the renowned organization that encourages children to say Amen and Asher Yatzar out loud. 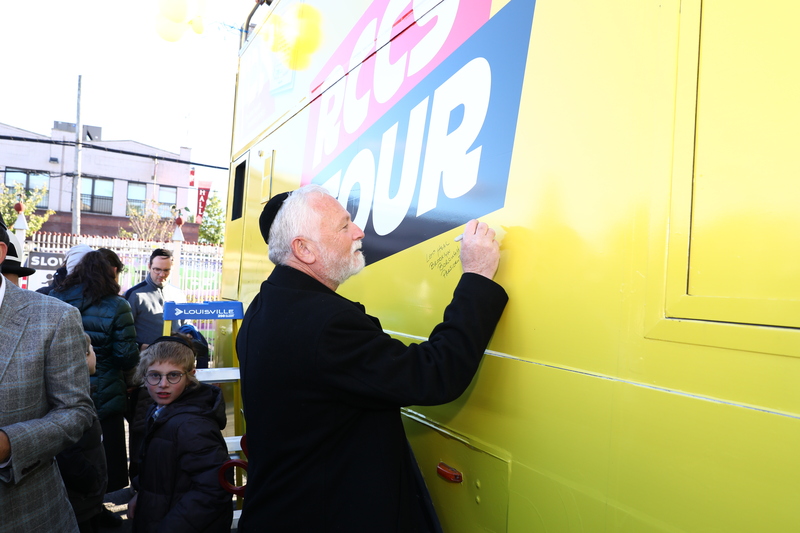 A highlight of the Bus Tour is the wonderful Bnei Emunim prize wheel. 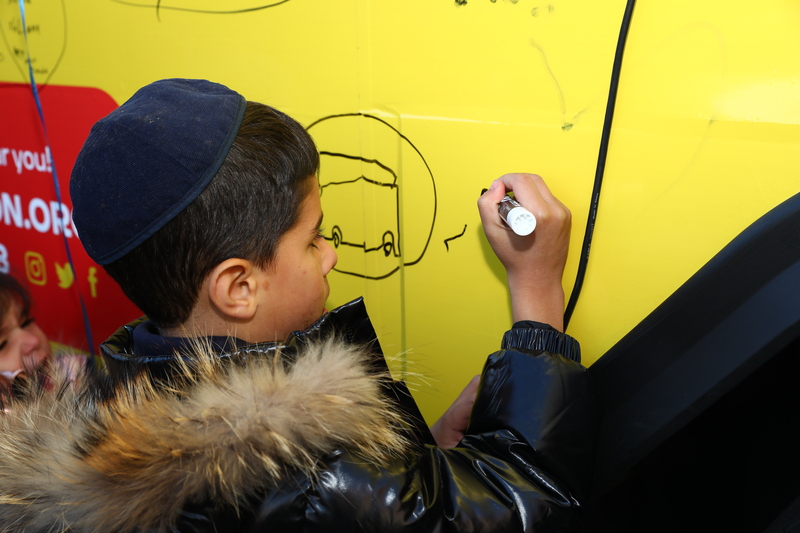 Every child who brings in their completed Bnei Emunim chart, which certifies that they said Asher Yatzar ten times with someone answering Amein to their bracha, will be given the opportunity to spin the wheel and receive a prize for their mitzvah! 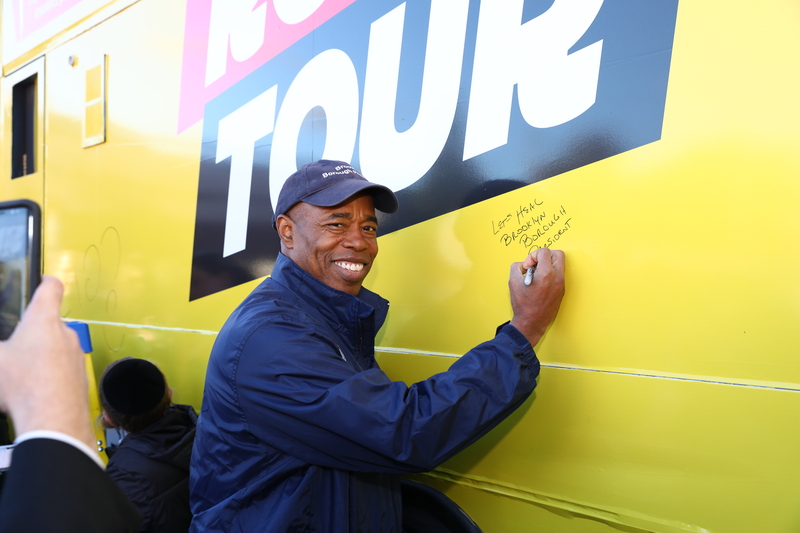 (Those who cannot make it to a Tour Bus stop have the option of sending in their cards by mail to receive a prize.) Find the contest form in the centerfold of the RCCS auction book or stop of at one of our bus stops to pick up the form. We’re on the road! 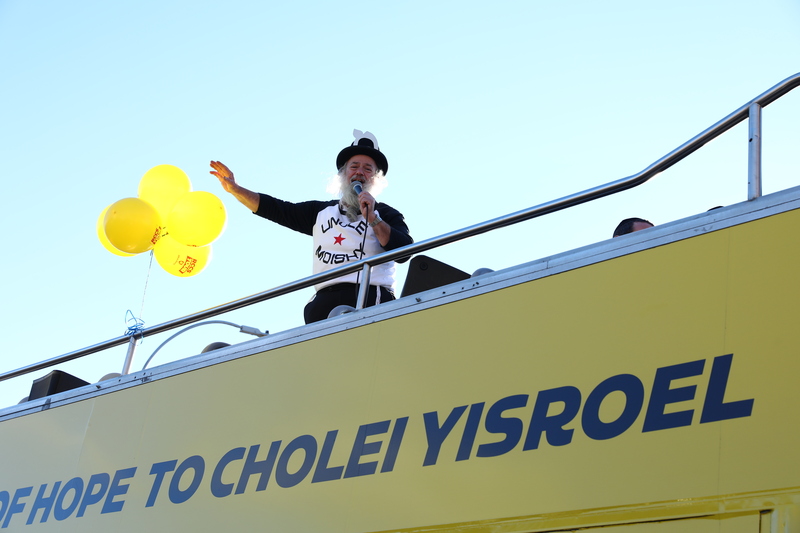 Jump on board and join us as we launch the biggest ‘Get Well Card’ ever given to Cholei Yisroel! 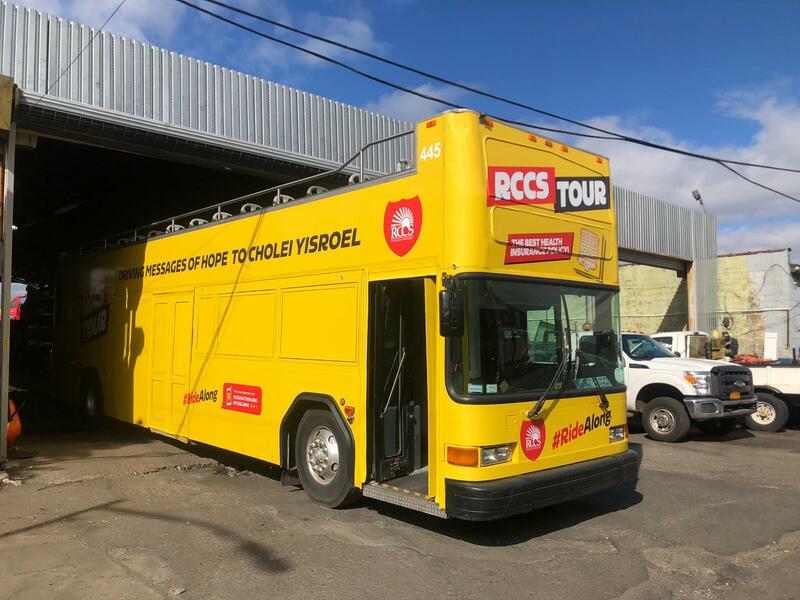 Follow the RCCS TOUR bus schedule and be sure to catch us when we visit your community. 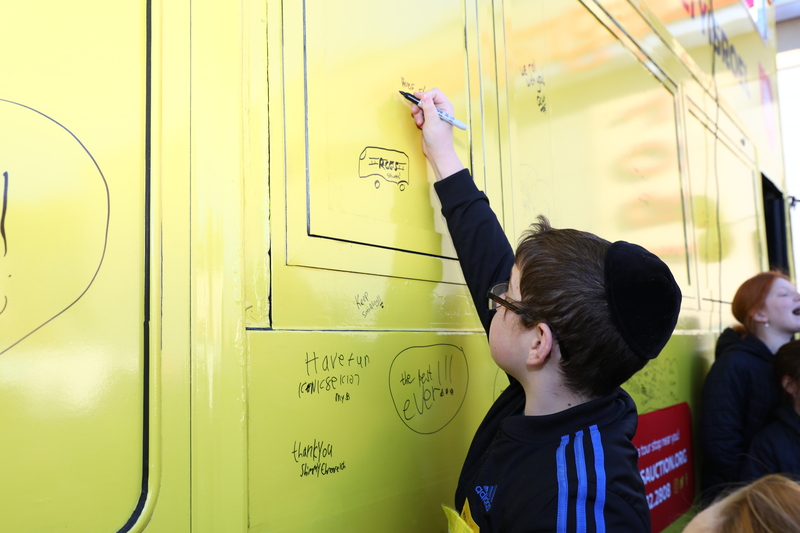 Leave your mark by grabbing a marker and writing your heartfelt wishes directly on to the bus. 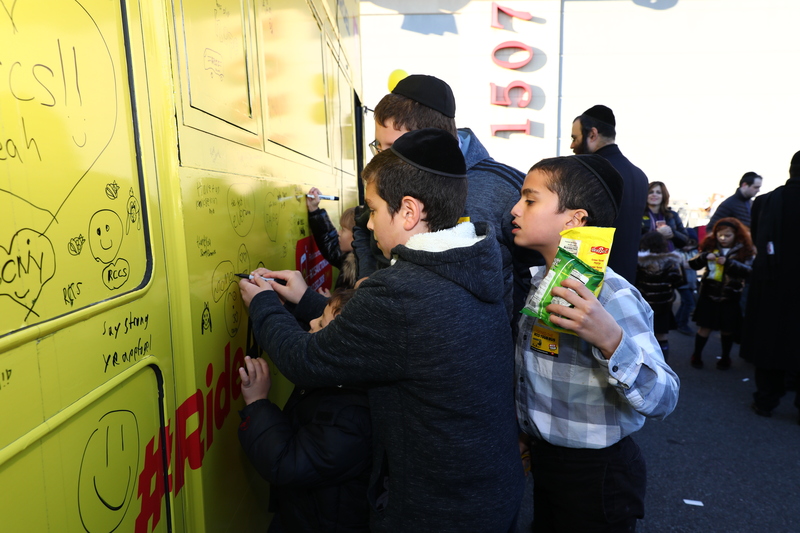 Watch Klal Yisroel’s hopes and dreams turn into a giant canvas of love and support. To see the bus schedule, purchase tickets or sign up to host an RCCS auction party, visits www.rccscauction.org today!